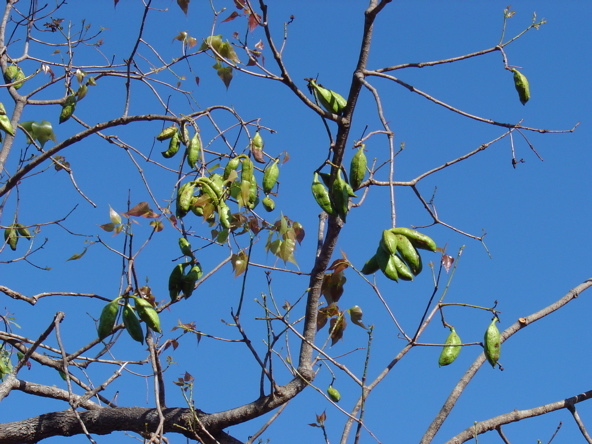 Medium to tall Kurrajong, a Brachychiton species with small flowers and large boat-shaped pods, changing from green to black when ripe. […] The wood is light and soft, and not very durable. It is not used for timber and probably would be a poor firewood. The leaves are eaten by sheep and cattle. 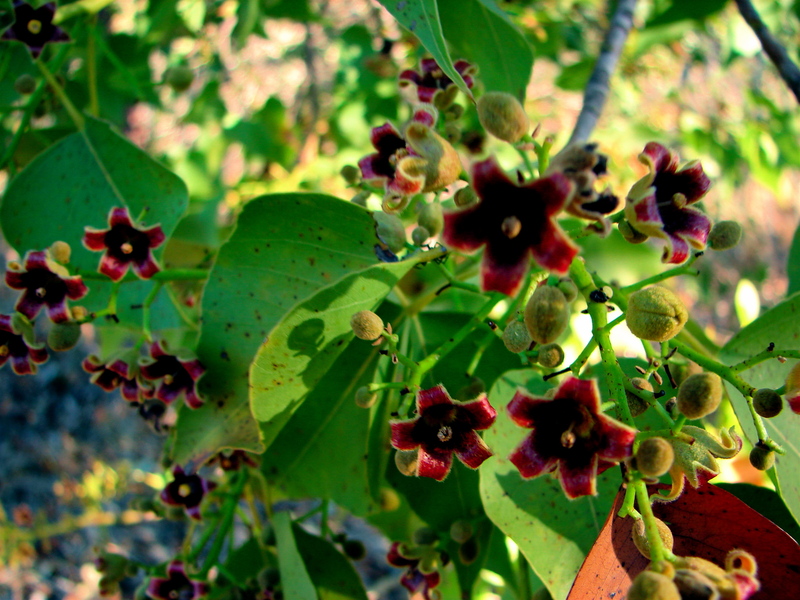 It is used for shelterbelts and as a shade tree. Aboriginal people used it for many purposes. The seeds are nutritious and were eaten raw or roasted. Roots of young plants were also eaten raw or cooked. Firesticks and spears were made from the wood and string from the bark. The leaves, bark and gum were used as medicines to treat skin wounds and fevers, and an extract from the inner bark was used as an eye wash. (Taken from ABRS SpeciesBank website). Early settlers used the roasted seeds as a coffee substitute, although whether the seeds do contain caffeine has not been fully proven. Can also be trained as a succulent bonsai due to the large tuber it develops from an early age. 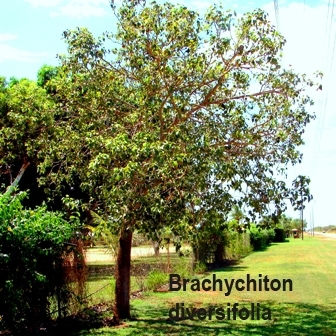 This entry was posted in Brachychiton, Commercial and tagged Brachychiton diversifolius. Bookmark the permalink.